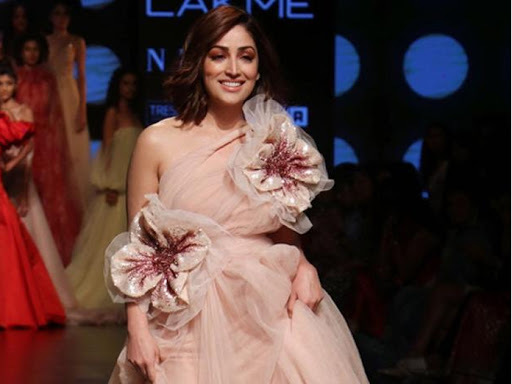 At the ongoing Lakme Fahion Feek Summer Resort 2019 It had all the trends that would be flaunted in this season. All the designers showcased their attires extravagantly. Designer Sneha Arora's collection had loose and flowy silhouettes. Pastel hues dominated the collection. Trend takeaway Sneha Arora showcasing pansuits with a fun and flirty twist got us believing that pantsuits are going to rule 2019 as well. Gauri and Nainika unvelied their collection, The Art of Latte, which saw freeflowing silhouettes in shades of red, pink, and blusing nudes, intrespersed with bold floral prints. High low dresses with floor sweeping trains, teamed with high boots were staring style. Trend takeaway dress with thigh high boots and a blazer to cut the cold. Go for dramatic eyes to elevate the look. Designer Varun Bhal debuted his pret range that included saris, culottes, kurtas and dresses in pastel hues, showing his love for flowers. Trend takeaway Varun Bhal brought those oversized sari pins back Plus of gorgette and crepe saris pinned with sleeveless blouse are sight for sore eyes. Rohit Bal's Collection Titles Guldasthah was a tribute to Kashmir. It had a long full flared and anarkali kurtas, stately jackets and quilted boleros. Trend takeaway Rohit bal's Floral bandhgalas are the gift for men this season. The print included sunflowers, poppies, tulips and peonies.